Kids New Year Eve Party: Dance Party with King Julien on Netflix! Looking for a fun way to ring in the New Year with your kids? Here’s a great idea- crank up the tunes and have a fun dance party! Grab some fun party hats and 2015 glasses, candy, soda and popcorn for a low key but fun way for your kids to celebrate on New Years Eve. 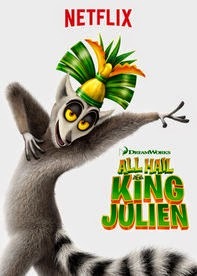 When you’re tired from dancing continue the party by turning on Netflix to check out the all new series All Hail King Julien! King Julien is a character from the movie Madagascar who has earned his very own show- full of laughs, shenanigans and plenty of dancing! Last week we had a chance to attend the premier party for All Hail King Julien, and Carter had so much fun! He made a paper crown, ate plenty of candy from the candy bar and learned the King Julien dance! We then settled into the theater to view two episodes of the show. It was Carter’s first time in a movie theater and he did really well! He knocked over his popcorn a few times but he wasn’t too loud and watched the show almost the whole time! Coloring and decorating his crown for the party! Learning to “move it, move it” to the King Julien dance! 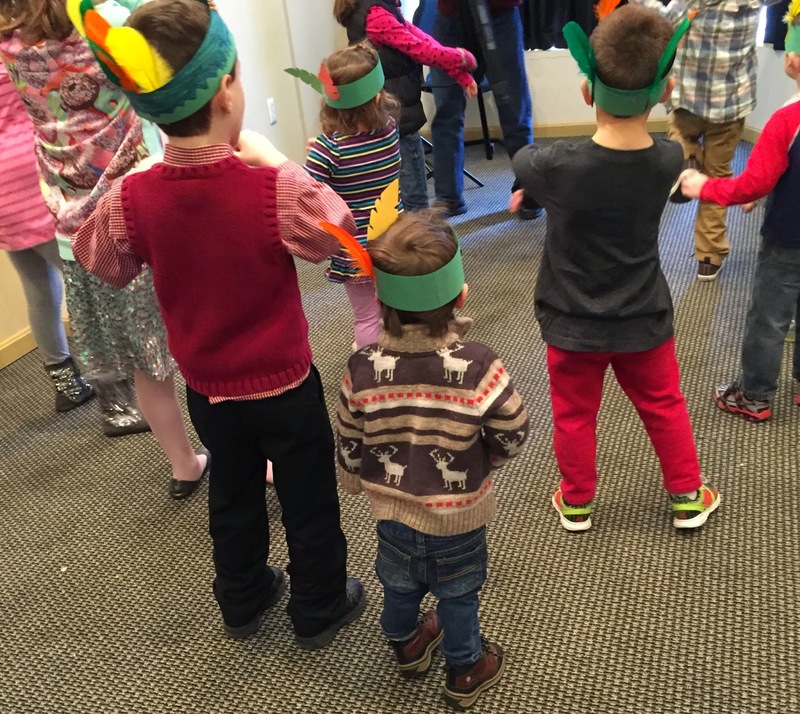 He was shy to join the big kids learning the dance at first, but after plenty of candy from the snack table he joined in the moves! Waiting for the show to start! It was his first time in the theater and it was so cute! Even if you don’t watch All Hail King Julien for your kids NYE party, be sure to check it out soon on Netflix! Disclosure: Netflix has provided me with products and services in exchange for participation in their #StreamTeam program. What a cute idea for kids! Happy New Year! This was such a fun event! My boys are still doing the King Julien dance! That's a fun idea! We are kid free on NYE for the first time in years. This would be a really cute one to put on for the kids on NYE. Thanks for the suggestion!